Thinking about to further studies in Health Science? University Malaya Medical Centre (UMMC) is offering a full or partial scholarship for Health Science Diploma Programme for interested and qualified students to study in UMMC Candidates who successfully complete the programme are required to serve the UM Medical Centre for two years. You may submit your application online at the link given below. 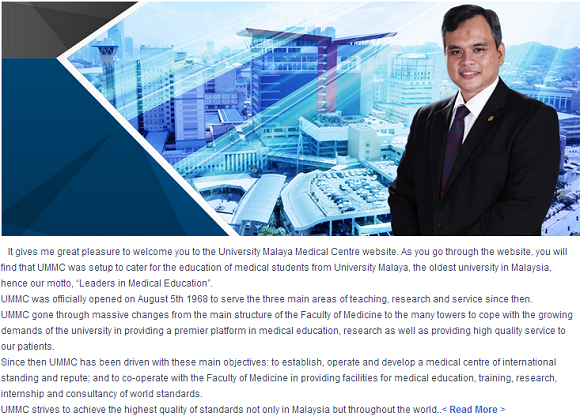 Read on for more information about UMMC Health Science Diploma Scholarship Programme. 2. To get the ID UMMC, which is priced at RM10, go to any National Savings Bank (BSN) to purchase the ID. 3. Results will be announced at the www.ummc.edu.my website. For more and up-to-date info please contact them directly or visit their official website.